Why Replace Your Air Filters Regulary? You will have to get all your air conditioning filters cleaned out and replaced regularly. This is an aspect of air conditioning that can make a real difference. Your filter must be checked properly to ensure that you get the most out of your air conditioner. 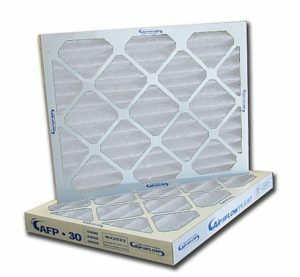 A filter is used to keep harmful particles out of the air that moves into your home. This ensures that your air ducts will be clean and comfortable. When everything is properly filtered, it will be easier for the air conditioner to keep working. This especially comes as harmful outside particles will not be at a risk of moving through ducts or other assorted parts of your HVAC unit. This should help you get the most out of your setup no matter what you are aiming to get out of it. More importantly, your HVAC unit will work harder if the filters don’t work properly. When the filters aren’t functional or are clogged, the unit will have to use more power to get air through your home. The fact that this air may not necessarily be fully clean can especially be a concern. Additional parts may start to wear out if the filter isn’t keeping particles out of the way, thus making it easier for the air conditioner to stop working right. When Should You Check Your Filters? You should check your air conditioning filters every month. This should be enough time to give you a clear idea of what is going on within your HVAC unit. This is also to see how the filter has worked over an extended period of time. You must especially check on your filters during the summer season. This is a time in the year where you are more likely to experience lots of allergens and other harmful particles getting in the way of your HVAC unit. You should replace your air filter when it starts to become clogged up. If the filter appears to be collecting lots of materials that are falling off of it, you will have to get it replaced. A good sign of when you need to replace is it when the filter appears to be dark in color. This is a sign that the filter has done its job and taken in large amounts of allergens and other compounds. Don’t forget to see if there are any holes or other puncture spots in your filter. You will have to get a proper replacement in the event that there are such spots. The good news is that you will not have to spend far too much money replacing your air conditioning filters. A typical filter will cost about $50 to get in most cases although that cost may vary based on size and where you get it from. The savings that you will get from replacing your filter will certainly be worthwhile as you won’t use as much air or be at risk of allergic reactions all around. Your air filter must be replaced carefully. You have to ensure that you take care of your air conditioner by keeping your energy usage from being a threat. This can especially ensure that your air conditioner will work right.